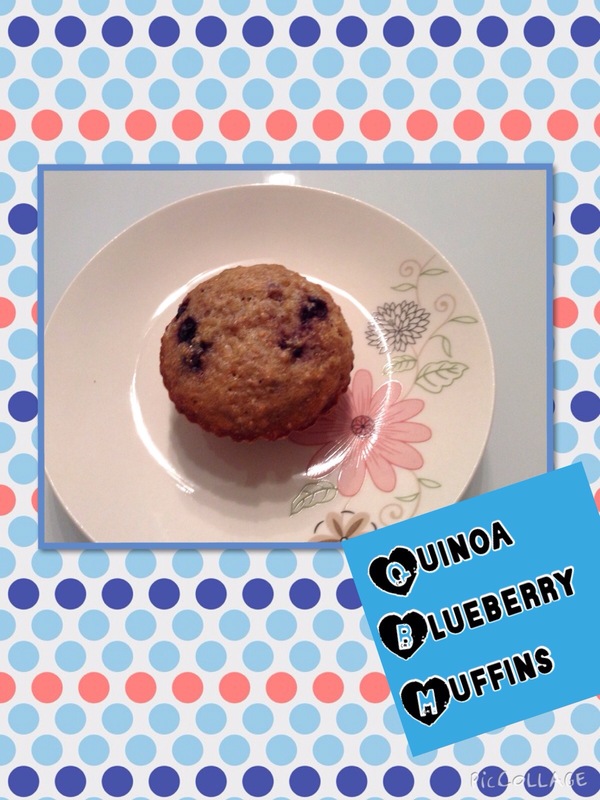 My muffin of the week Is a Quinoa Blueberry Muffin. I’ve never baked muffins with quinoa. They actually turned out very moist. You can add any type of fruit, fresh or dried like cranberries, apricots or raspberries. Pre-heat oven to 350 degrees. Spray a 12 cup muffin tray. In a bowl mix oil, egg, milk, lemon zest and vanilla. In a separate bowl mix flour, sugar, baking powder and sea salt. Stir wet ingredients into dry ingredients. Then fold quinoa into batter. Add blueberries into batter. Bake for 25-30 minutes. Enjoy!